ARCATA – If you’re in need of professional counseling – maybe a senior who can’t navigate downtown parking or make it up the stairs to Jill Frizzell’s office, fret not – she will come to you. 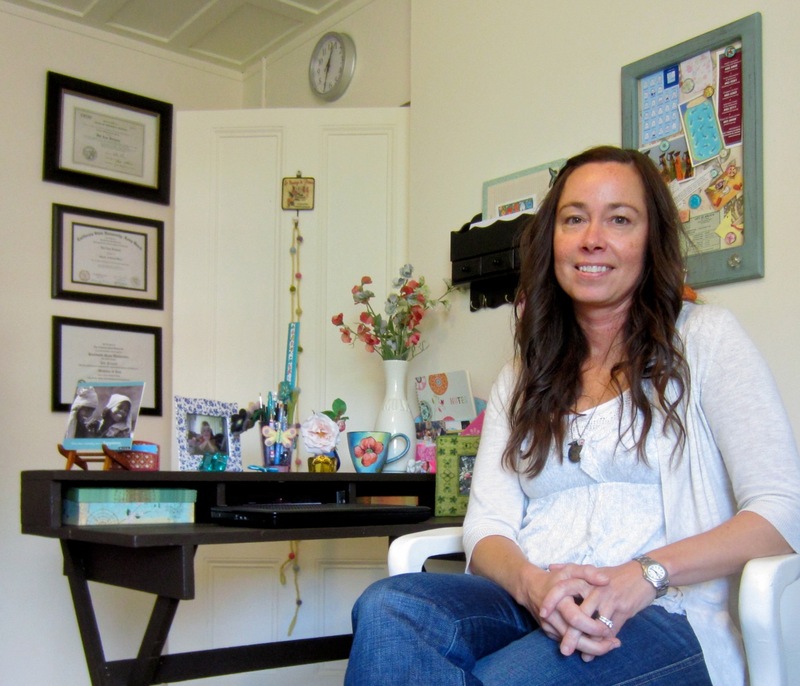 Frizzell, a Licensed Clinical Social Worker (LCSW), has opened her new practice in a bright, welcoming office across from the main fire station on Ninth Street. It’s well-stocked, but not cluttered, with things to make a client feel comfortable – art, plants, diplomas, even board games for younger visitors. Frizzell sees clients of all ages, though senior citizens are an emphasis. It takes special skills to address their late-life issues. These include loss of friends, depression, isolation, bereavement and illness-related stress and anxiety. “A lot of times there’s a specific event that brings people in,” she said. Or they may not understand the role of a therapist. “Maybe they feel we’re going to tell them what to do, or judge,” Frizzell said. It can be a missed opportunity for relief, especially since the assistance may be covered by insurance. “LCSWs are among the providers who can accept Medicare,” Frizzell noted. After receiving a referral from one of the local agencies which assist seniors, or a direct contact, Frizzell will seek to overcome unnecessary barriers to progress. Once rapport is established and the client is comfortable and assured of confidentiality, the person’s main issues are identified and goals set. While specializing in seniors, Frizzell also works with children, teens and adults. A 2004 graduate of the Cal State Long Beach Social Work program via Humboldt State’s Distance Learning, Frizzell is skilled in contemporary techniques and approaches. She has special training in forensic social work, which involves evaluations of children in child custody cases. For children, play therapy can be useful. For teenagers, art can be a pathway to progess in dealing with peer and parent issues. Her geographical range is comparably broad. “I’m open to all Humboldt County,” she said, including Hoopa and Willow Creek. Contact Jill Frizzell, LCSW, at 632 Ninth St., Suite A4, and at (707) 362-1709. This entry was posted on Thursday, December 1st, 2011 at 2:15 pm	and is filed under Community. You can follow any responses to this entry through the RSS 2.0 feed.